Peace Ranch, in partnership with Child and Family Services of Northwest Michigan, is honored to be chosen as one of the 2017 recipients for the first Impact 100 TC $127,500 transformational grants! Impact 100 TC Funds will be used to build an Experiential Therapy Center to provide children and adults a broad range of experiential therapies proven effective in resolving damage caused by childhood and adult trauma. The project is a collaboration between Peace Ranch and Child and Family Services of Northern Michigan. The Experiential Therapy Center will benefit traumatized people through various clinical experiential models including Equine Assisted Psychotherapy, Music Therapy, Art Therapy, and more. 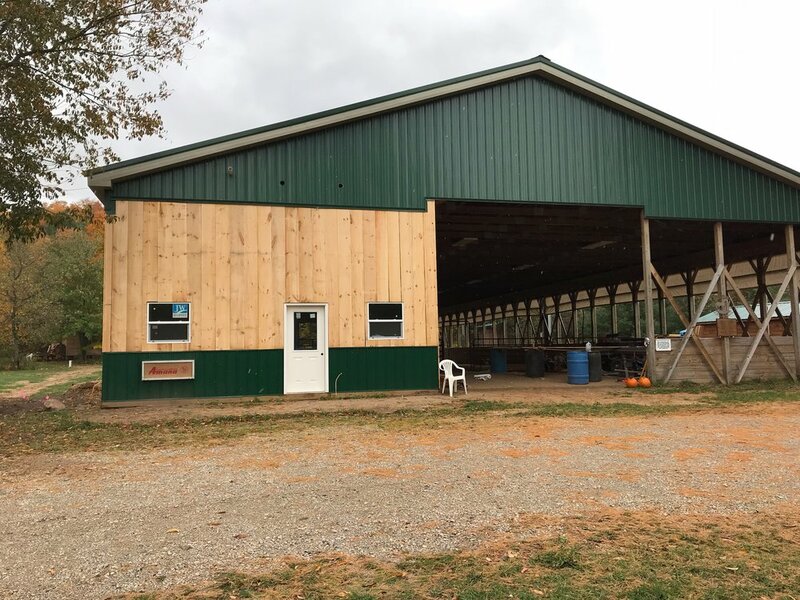 This grant will provide Peace Ranch with a means to better achieve the organization’s mission of providing services to all in need regardless of ability to pay. While the visible transformation of lives is the most critical outcome of this project, the potential impact is much farther reaching by addressing and resolving trauma-driven behaviors, potentially saving thousands of dollars in community resources annually. Opening June 2019: Peace Ranch’s new Center for Experiential Therapy includes a room open to the arena for the integration of art & music with Equine-Assisted Therapy. CFS and Peace Ranch have been involved in the system of care dealing with trauma for many years. In 2015, CFS and Peace Ranch collaborated to provide services targeted to children in foster care. After a year, every child in the program had found placements. CFS is a 501(c)(3) nonprofit organization serving 20+ counties of northern Michigan. Since opening in 1937, they have provided foster care and adoption services to our community. Over the years, they have grown to respond to the community’s changing needs, adding counseling, supervised visitation and exchange, intensive family preservation, and more to our roster of programs. In January 2014, Child & Family Services merged with Third Level and now additionally provides 24/7 suicide prevention, counseling, and general information through our Third Level Crisis Unit, operates Pete’s Place, the region’s only youth shelter, and provides other Youth Services to struggling teens in northern Michigan. New Center for Experiential Therapy Grand Opening! Impact 100 is a successful global philanthropy model created by Wendy Steele in 2001 in Cincinnati. Her concept is simple and powerful: Gather a group of dynamic women together to each give $1,000, with the goal of significantly impacting one local organization. There are now more than three dozen Impact 100 chapters around the world that have given away more than $43 million to worthy non-profits. 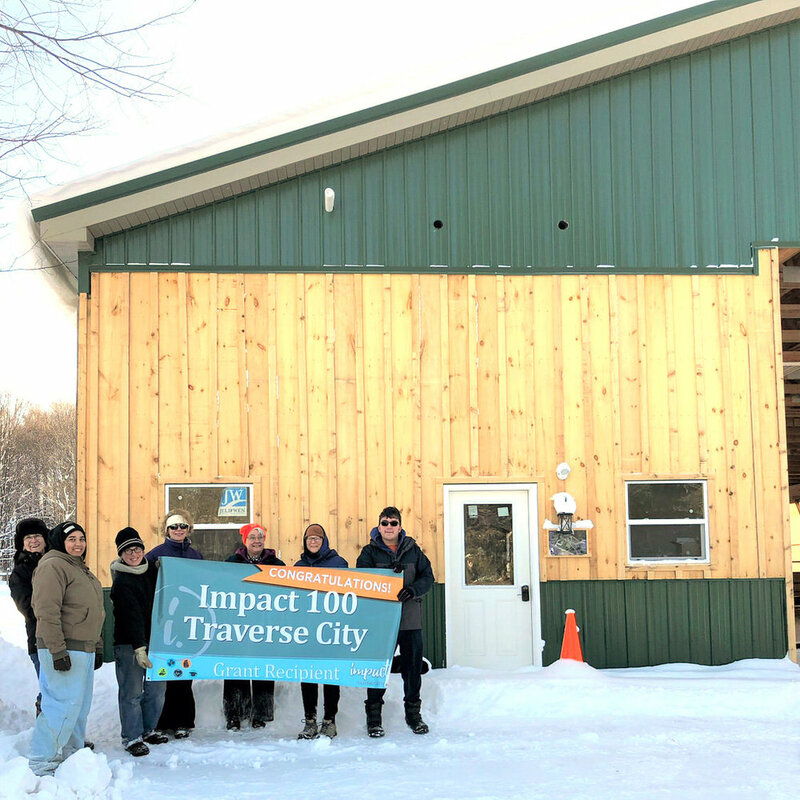 The launch of the Traverse City chapter in 2017 was the largest in the organization’s history with 255 members.